Thanks to chefs like Noah Schwartz, the East End is discovering the culinary, health and commercial benefits of the sea’s latest superfood. Last June 2017, a special dinner was held at Noah’s Restaurant in Greenport. 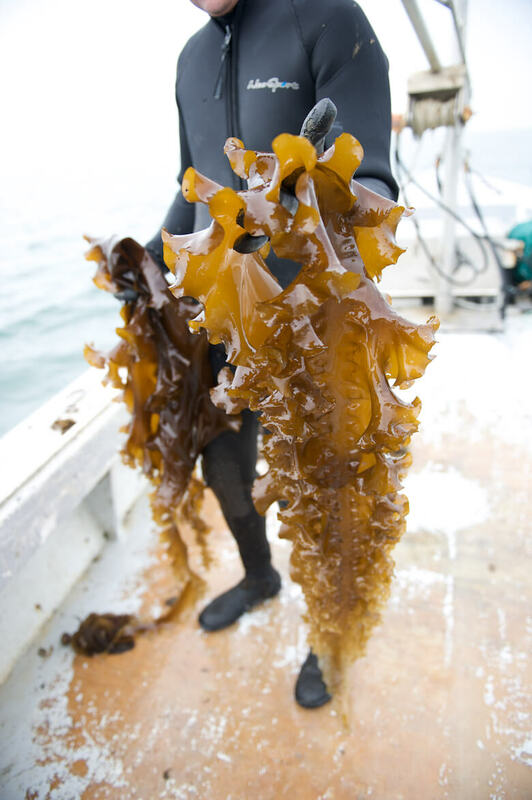 On the menu was the first kelp harvest from Cornell Cooperative Extension Marine Program’s Peconic Estuary Seaweed Aquaculture Feasibility Study. 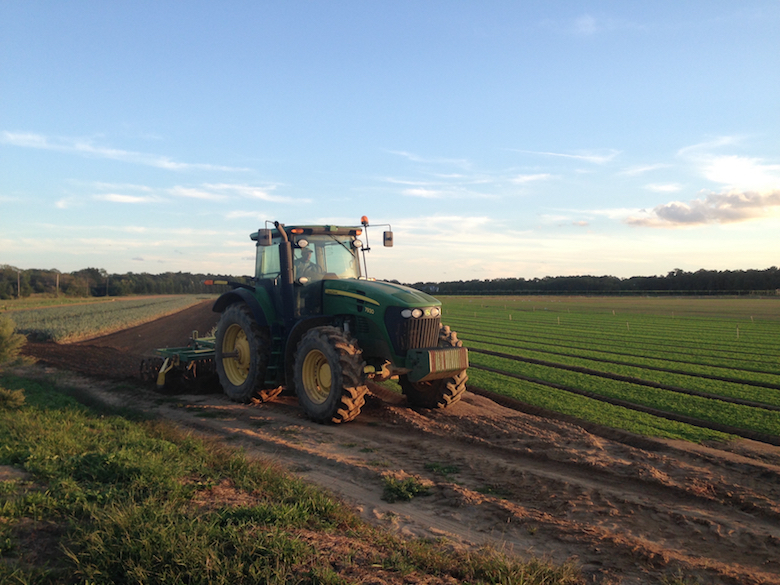 The study, funded in part by Suffolk County and managed by CCE marine botany/habitat restoration educator Stephen Schott, examined the feasibility of growing sugar kelp in the Peconic estuary as an aquaculture product for the East End. Sugar kelp, a brown algae, was chosen for the project because it grows quickly and is one of the most farmed seaweeds around the world. Asia, Europe and other parts of the world have been harvesting kelp for hundreds of years. Only now is the U.S. beginning to take a closer look at the culinary, health and commercial benefits of this next potential superfood. 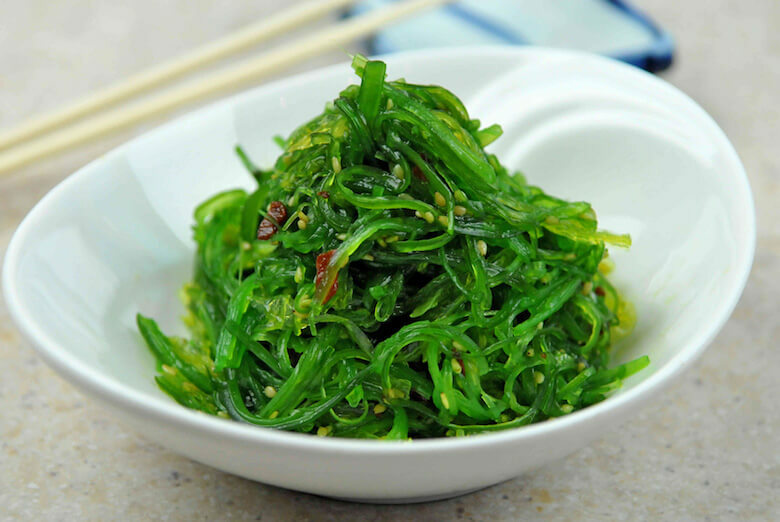 Rich in iodine, potassium, magnesium, calcium and iron, as well as antioxidants, amino acids, omega-3 fats and fiber, kelp is also used as an ingredient for a variety of products, everything from keeping ice cream soft to tire manufacturing. Broken down, it creates methane as well as sugars that can be converted to ethanol. Biomass Magazine, a publication that covers the world of biomass power, fuels and chemicals, has proposed creating underwater kelp farms as a source of renewable energy. On the environmental side, kelp also absorbs excess nutrients and carbon dioxide, improving water quality, a boon for local fisheries and shellfish. Last year’s dinner at Noah’s was Cornell Cooperative Extension’s opportunity to showcase local kelp as a food source, culinary ingredient and commercial commodity to East End diners. Two types of sugar kelp were provided for the dinner by Cornell: fresh and dried. Sugar kelp is considered sweeter than other kelps, thus lending itself to any number of recipes and dishes. Chef Schwartz’s five-course menu included kelp-wrapped seared yellowfin tuna and kelp sushi rolls. For a third course, he used a commercially sold kelp noodle to make a kelp noodle salad, working Cornell’s fresh kelp into the salad with a miso vinaigrette. 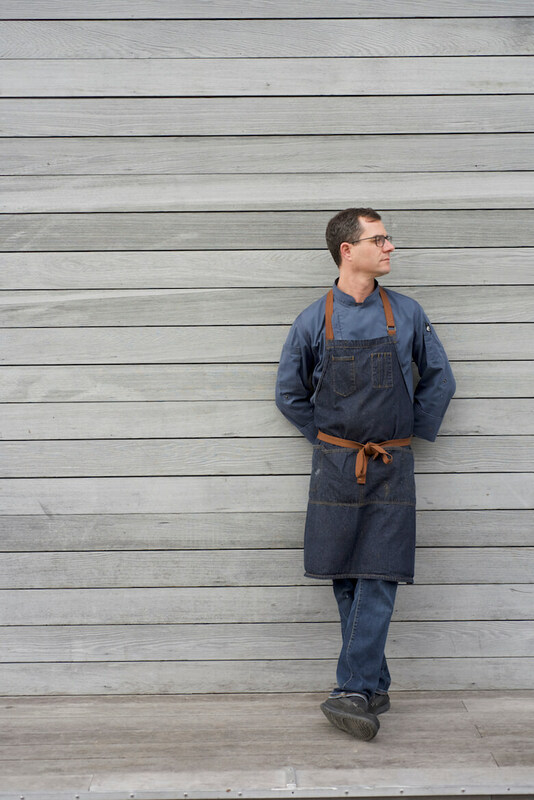 Chef Noah Schwartz is one of the East End’s most innovative chefs, and works regularly with kelp. Next up were sea scallops, dusted with dried kelp and cooked in a kelp-powder-infused olive oil, served on risotto. Finally, for dessert, a flourless chocolate cake made with kelp. Not to be outdone by Noah’s, this past January, Greenport Harbor Brewery also took up the kelp challenge, making a limited edition kelp beer, with kelp provided by Cornell. The beer was such a success, Greenport Harbor Brewery is already talking about making it again. With their kelp study now done, Cornell Cooperative Extension’s Marine Program says the next step is for the U.S. government to update their laws in order to make seaweed aquaculture a commercial possibility.